Tom and Jerry will always be funny, and who doesn't love the humor and fun this pair gets up to! 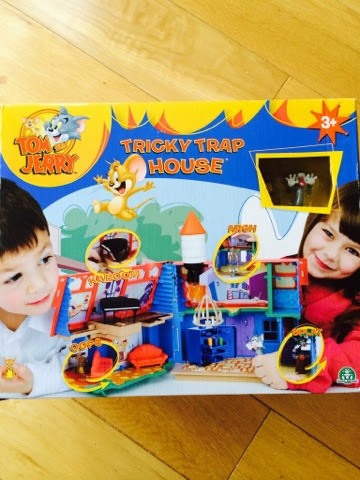 - I'm pleased to review the Tom and Jerry Tricky Trap House from Flair. - I had just as much fun with this one as the kids did! 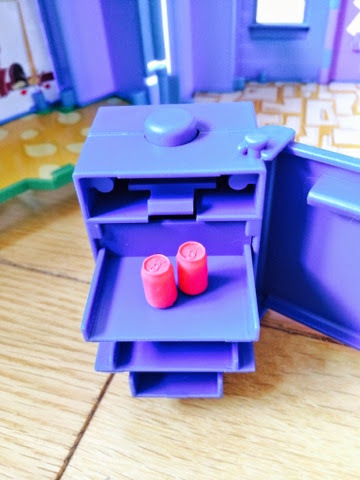 The playset comes ready to play - it took me a moment to realise that - there wasn't any instructions and a small bag of loose bits like the fridge and sofa but a glance at the box and I soon figured it out! 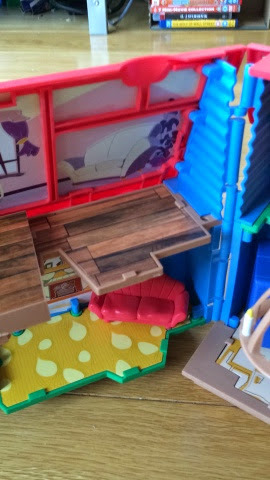 There's lots of fun to be had with things such as a falling piano forte, a sofa for Jerry to hide behind, a fridge with pop out shelves, a falling chandelier, Tom's pop up bed, a shower with a collapsing floor, a secret trap door above the front door, a break open front door, a broken swing and just what every home needs - a rocket!!!! 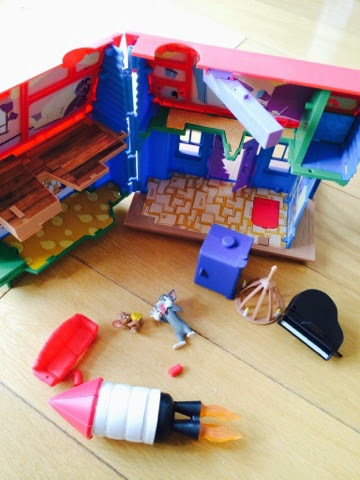 "The mischievous pair are right at home in this crazy house with many mechanical traps including the cartoon staples of the falling piano, fake floors and burst-through wall. 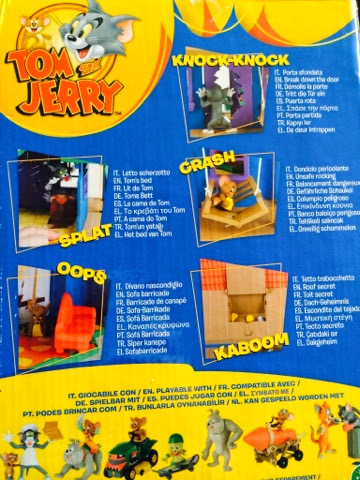 Complete with two Tom and Jerry figures, to start re-creating capers immediately!" 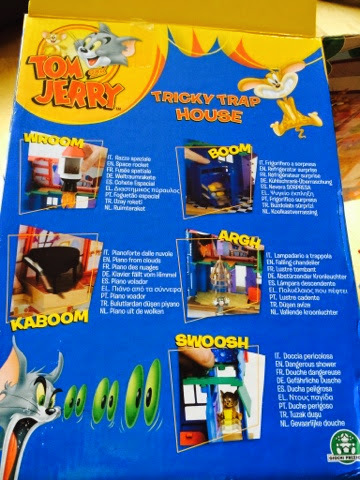 Aimed at boys and girls aged 3+, My children are 3 and 5 - Girl and Boy and both really enjoyed this toy - as did I!